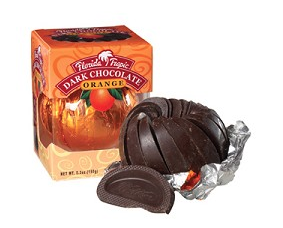 One of the greatest flavor combinations ever invented is that of orange and chocolate. I would like to thank the culinary genius who created this most excellent concoction from the bottom of my chocolate (and orange) loving heart. It really is the best combo for me as I’ve always loved chocolate and, get this, orange has always been my favorite flavor of candy. I know! Like it was meant to my my combination. I did not have the ultimate mélange of deliciousness, however, until I was an adult and discovered the chocolatiers in France. And please try to pronounce chocolatier with a French accent. Go ahead. In your head. Say it. “sho-clah-teeay”. Très bon. At least that’s how I pronounce it. It’s one of the words I always have to say with a French accent. It’s like me trying to say the fashion label: BCBG. Everyone I know, even Heidi Klum pronounces it using American pronunciation (bee cee bee gee). However, BCBG is a French slang term basically meaning “preppy”, and therefore I am forever pronouncing it the French way and have to force myself to Americanize it. Not so with chocolatier. Anyway, Du and I were visiting France for the first time and entered into this chocolatier in order to experience authentic confectionery delight. What did I walk away with? The little orange sticks dipped in chocolate. I was in chocolate heaven. And whenever we would visit France we would have to get some version, either candied orange peel or an orange jelly type stuff, but dipped in wonderful French chocolate. Being back in the states I have found substitutes. Russell Stover makes wonderful chocolate dipped orange sticks. And there’s the orange slice shaped chocolate that I will devour if given the chance. Still more, there are the orange flavored chocolate cookies from Pepperidge Farm. 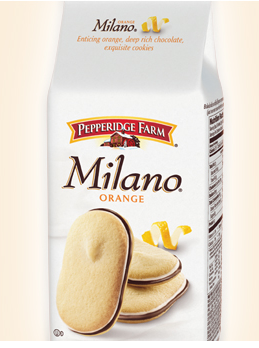 I am sure I have tasted these before, but I don’t make a habit of buying the Pepperidge Farm cookies, because let’s face it, they’re expensive and I’m cheap frugal. This is where is where improvisation comes in. It’s also when I kick myself for not thinking of this sooner. 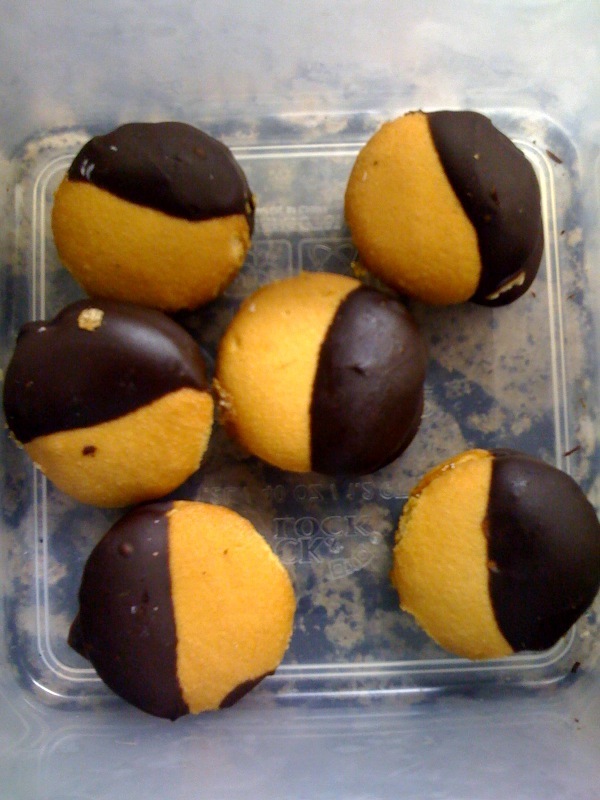 I have created my own orange chocolate cookie. I cannot take all the credit though. Props to Reagan and Nilla Wafers as well. She saw a box of the Keebler variety and on the back it had a recipe for strawberry cookies. Take two wafers slather strawberry cream cheese between them and dip them in white or regular chocolate. Remembering my goal of teaching her how to cook, and overcoming my habit of saying no to requests of making extra things in the kitchen (especially with “help”), I relented and we made the strawberry cookies. and perfection was made. CHEAP perfection I might ad. And they are so simple. The hardest part is melting the chocolate and if you have a microwave that’s not even hard. Sorry there are only six cookies in the picture. I ate many of them while working this post. There will be more made though. And this would be an amazing fondue dipper. Oh yes. You’re welcome. Ultimate melange of deliceousness? right ON! I have never (obviously) had your frufru frenchie candy 😛 but every other thing you put as a substitute is my very favorite thing! I will SOOO be making these! ever dip orange sections (or orange slice candy) in that special low-temp chocolate for fruit? Ben & Jerry’s have a discontinued flavor called Pulp Addiction that was my most favorite – I would love for them to bring it back. I will definitely try the vanilla wafer idea – you gals are so creative! I haven’t had a Terry’s orange in a while. They were MARVELOUS to begin with then they went through some weird transition and did not taste right for awhile. I had a bite at the holidays though and they seemed back to their original goodness. My Mom used to buy me and my twin brother a box of Brach’s Orange Sticks each Christmas and tape a $10 bill to each box as a stocking stuffer. 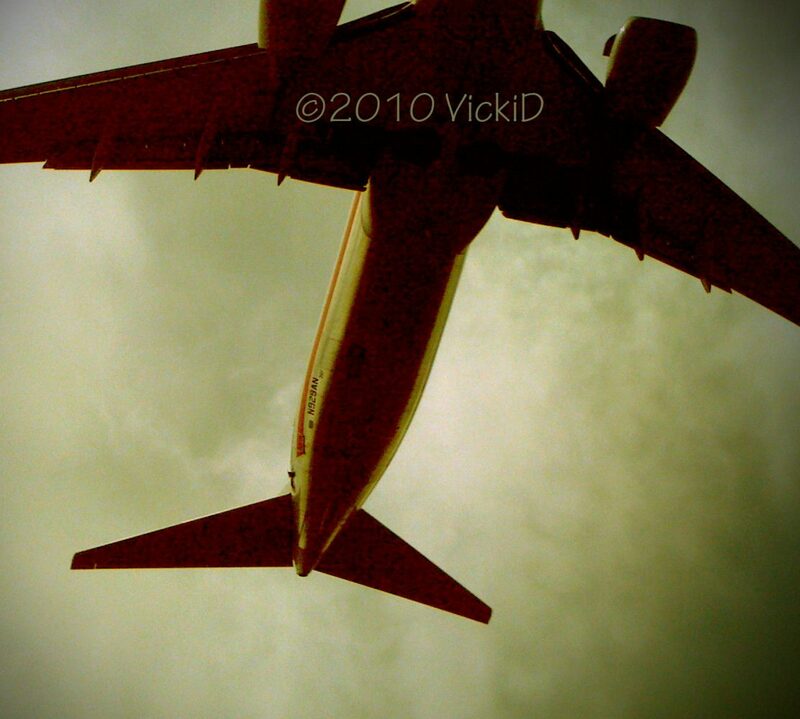 I LOVED the orange sticks. I am 42 now and had an idea while shopping. I bought a bag of orange slices (like large gum drops in the shape of an orange slice) and cut them up into 3 or 4 pieces each. I stirred these into brownie batter and baked. It gives you the taste and it is CHEAP. 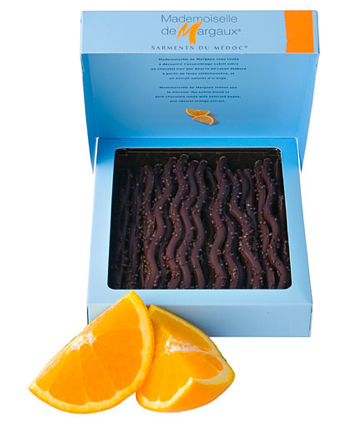 Zchocolat makes amazing French chocolate orangettes. Of course it is real orange peel dipped in Venezuelan dark chocolate. They are just incredible and they ship them almost the second you order. The chocolate isn’t so dark it makes your eyes water and the orange isn’t so tart your mouth puckers. Both flavors are everything they should be and you wish they would be. It is the ultimate orangette experience. They are on your doorstep before you can turn around. They are pricey but of all the French chocolates available online I think they are the best. No, I don’t work for them either. I am not even a VIP but I think I should be with all the money we have spent on their chocolate. They are addictive too. Thank you for the heads up on the pronunciation of chocolatier. :)) I will try to Russell Stover version. I am looking for one that isn’t so expensive but I do want the real orange peel and not just that jelly.